Dorothy Stevens McIlwraith was born on October 14, 1891, in Hamilton, Ontario, Canada. Her family, which had originated in Ayr, Scotland, was prosperous and brimming with accomplished people. Her grandfather, Thomas McIlwraith I (1824-1903), emigrated from his homeland to Canada in 1853, settling in Hamilton and becoming a coal merchant. His avocation, however, was ornithology. McIlwraith's younger brother Andrew McIlwraith I (1831-1891), also a businessman, studied the natural world and had a special interest in butterflies. Thomas McIlwraith's daughter, Jean Newton McIlwraith (1859-1938), was known as an author of historical romances and non-fiction for children. Educated at Ladies' College in Hamilton, Ontario, and through correspondence by Queen Margaret College, Glasgow University, Scotland, she worked as a reader and editor in New York from 1902 until 1919. Her employer for all or most of that time was Doubleday, Page and Company, based in Garden City, Long Island. (1) Jean retired to Canada in 1922, but not before being replaced by another McIlwraith at Doubleday. Dorothy McIlwraith graduated from McGill University in Montreal in 1914 and moved to the United States at Christmastime, 1917. Following in her aunt's footsteps, she became a reader and editor for Doubleday, Page and Company. Described as five feet, three inches tall, with a fair complexion, brown hair, and brown eyes, she would eventually run two magazines published by her company. During her decades-long stay in this country, she lived in Manhattan and Melville, Long Island, and traveled many times to Canada and her ancestral homeland of Scotland. On one of those trips, she traveled aboard the S.S. Transylvania, a fitting conveyance for a later editor of weird fiction. I might also mention her name. The surname McIlwraith refers to a "brindled lad," but it includes the Scottish word wraith, which means ghost, also fitting. Dorothy's middle name, Stevens, was the unmarried name of her mother, Mary Stevens. Dorothy's father was Thomas Forsyth McIlwraith, a coal merchant like his father before him. Short Stories magazine began publishing in 1890 as a literary magazine, but not long after being purchased by Doubleday, Short Stories became a "quality pulp magazine" in 1910. Harry E. Maule (1886-1971) assumed the post as editor in 1912 and guided the magazine through more than a decade of western, detective, and adventure stories. Roy De S. Horn took over for Maule in the year the stock market crashed. Maule returned to the editorship from 1932 to 1936, when his long-serving assistant, Dorothy McIlwraith, became full editor of Short Stories. During her first full year at the post, in December 1937, Short Stories, Inc., purchased the magazine. Dorothy remained and would soon have added duties with her new employer. 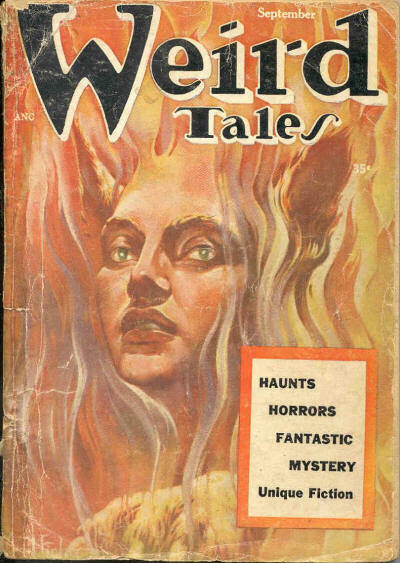 Between 1924 and 1938, Weird Tales was published by the Popular Fiction Company with editorial offices first in Indianapolis, then in Chicago. The editor during that time was the much admired Farnsworth Wright (1888-1940). Short Stories, Inc., purchased Weird Tales in November 1938, and moved its offices to New York City. By then in failing health, Wright went with the magazine with which he is so closely associated. Dorothy McIlwraith was assigned by her publisher to assist Wright at the end of 1939. 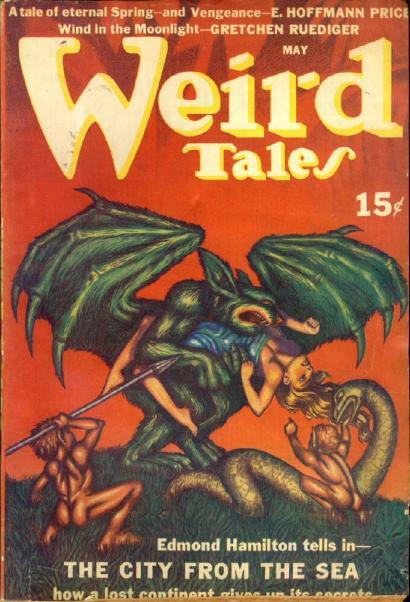 With the May 1940 issue, she took over full editorship of Weird Tales. Although readers had nothing against her, they were entirely for Farnsworth Wright. They could not have known of course that he would be in his grave before the year was out. The 1940s were another decade of change for Weird Tales. Authors and artists came and went. August Derleth and Robert Bloch remained two of the few standbys. Ray Bradbury and others took the place of the departed. There were fewer serials, and "The Eyrie" wasn't as chatty as it used to be. Perhaps in compensation, the magazine instituted a Weird Tales Club, with names and locations of members printed in its pages. Page counts dropped, from 128 pages to 112 pages in 1943 and to 96 pages in 1944. To read a description of the magazine during this time, you get the idea that decay had set in. Dorothy McIlwraith may not get much of the blame for that, but she may be considered guilty by association. As editor, Dorothy was assisted by Henry Aveline Perkins (to September 1942) and Lamont Buchanan (from September 1942 to September 1949). Perkins had previously worked in comic books. An Internet search reveals little more about him. That fact would make him a good candidate for a future blog entry. Lamont Buchanan is another story. I have written about him already and still have more to write. In fact, it may be time for an overhaul of what we know and believe about him and the author known as Allison V. Harding. In any case, Dorothy McIlwraith and Lamont Buchanan, both of Scottish descent, may have felt some kind of kinship despite the years separating them. (1) Jean Newton McIlwraith's books: The Making of Mary (1895) as by Jean Forsyth; A Book about Shakespeare (1898); The Span o'Life: A Tale of Louisbourg and Quebec (1899) with William McLennan; Canada (1899); A Book about Longfellow (1900); The Curious Career of Roderick Campbell (1901) illustrated by Frank Schoonover; Sir Frederick Haldimand (1904), for the Makers of Canada series; A Diana of Quebec (1912); The Little Admiral (1924); Kinsmen at War (1927); and the libretto for the comic opera Ptarmigan (1895). (2) Short Stories did not survive the decade and came to an end in August 1959. The associate editor at the time was Frank Belknap Long, previously a contributor to Weird Tales. (3) You can read more about the family of Dorothy McIlwraith in the work of Dr. Eva-Marie Kröller at the University of British Columbia, who is working on a biography. I should add that Dorothy McIlwraith's brother, Thomas McIlwraith, was an anthropologist. I wonder if he ever studied the cult of Cthulhu. Weird Tales for May 1940, the first issue for which Dorothy McIlwraith received credit as editor. The cover art was by Hannes Bok. 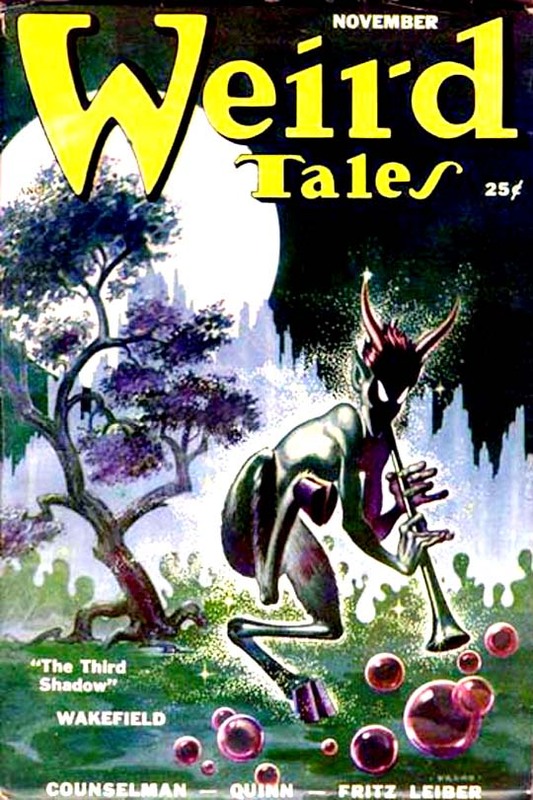 Frank Kelly Freas' first cover for Weird Tales, November 1950. And the final issue of Weird Tales, September 1954, with recycled cover art by Virgil Finlay, originally from the August 1939 issue of the magazine. Thanks to Dr. Eva-Marie Kröller, Prof. Thomas F. McIlwraith, and Randal A. Everts for corrections and further information. Might you be willing to tell us more about Short Stories, Inc., the company that bought the magazine from Doubleday? Thanks!